This article is about Classic Alfa Romeo 8C. For the modern sports coupe, see Alfa Romeo 8C Competizione. The Alfa Romeo 8C was originally a range of Alfa Romeo road, race and sports cars of the 1930s. In 2004 Alfa Romeo revived the 8C name for a V8-engined concept car which made it into production for 2007, the 8C Competizione. The 8C designates 8 cylinders, and originally a straight 8-cylinder engine. The Vittorio Jano designed 8C was Alfa Romeo's primary racing engine from its introduction in 1931 to its retirement in 1939. In addition to the two-seater sports cars it was used in the world's first genuine single-seat Grand Prix racing car, the Monoposto 'Tipo B' - P3 from 1932 onwards. In its later development it powered such vehicles as the twin-engined 1935 6.3-litre Bimotore, the 1935 3.8-litre Monoposto 8C 35 Type C, and the Alfa Romeo 8C 2900B Mille Miglia Roadster. It also powered top-of-the-range coach-built production models, including a Touring Spider and Touring Berlinetta. In 1924, Vittorio Jano created his first straight-eight-cylinder engine for Alfa Romeo, the 1987 cc P2, with common crankcase and four plated-steel two-cylinder blocks, which won the first World Championship ever in 1925. Although it was a straight-8, the 8C designation was not used. Alfa Romeo 8C 2900B Touring Spider 1937 in 2005 Pebble Beach Concours d'Elegance. The 8C engine, first entered at the 1931 Mille Miglia road race through Italy, had a common crankcase, now with two alloy four-cylinder blocks, which also incorporated the heads. The bore and stroke (and hence rods, pistons and the like), were the same as the 6C 1750 (bore: 65 mm, stroke: 88 mm 2,336 cc). There was no separate head, and no head gasket to fail, but this made valve maintenance more difficult. A central gear tower drove the overhead camshafts, superchargers and ancillaries. As far as production cars are concerned, the 8C engine powered two models, the 8C 2300 (1931–1935) and the even more rare and expensive 8C 2900 (1936–1941), bore increased to 68 mm and stroke to 100 mm (2,905 cc). At the same time, since racing cars were no longer required to carry a mechanic, Alfa Romeo built the first single seater race car. As a first attempt, the 1931 Monoposto Tipo A used a pair of 6-cylinder engines fitted side by side in the chassis. As the resulting car was too heavy and complex, Jano designed a more suitable and successful racer called Monoposto Tipo B (aka P3) for the 1932 Grand Prix season. The Tipo B proved itself the winning car of its era, winning straight from its first outing at the 1932 Italian Grand Prix, and was powered with an enlarged version of the 8C engine now at 2,665 cc, fed through a pair of superchargers instead of a single one. 1938 Alfa Romeo 8C 2900B Touring Berlinetta, winner of the first race at Watkins Glen in 1948, Pebble Beach Concours d'Elegance "Best of Show" 2008 and Concorso d'Eleganza Villa d'Este "Best of Show" 2009. Initially, Alfa Romeo announced that the 8C was not to be sold to private owners, but by autumn 1931 Alfa sold it as a rolling chassis in Lungo (long) or Corto (short) form with prices starting at over £1000. The chassis were fitted with bodies from a selection of Italian coach-builders (Carrozzeria) such as Zagato, Carrozzeria Touring, Carrozzeria Castagna, Carrozzeria Pinin Farina ( later Pininfarina ) and Brianza, even though Alfa Romeo did make bodies. Some chassis were clothed by coach-builders such as Graber, Worblaufen and Tuscher of Switzerland and Figoni of France. Alfa Romeo also had a practice of rebodying cars for clients, and some racing vehicles were sold rebodied as road vehicles. Some of the famous first owners include Baroness Maud Thyssen of the Thyssen family, the owner of the aircraft and now scooter company Piaggio Andrea Piaggio, Raymond Sommer, and Tazio Nuvolari. The first model was the 1931 '8C 2300', a reference to the car's 2.3 L (2336 cc) engine, initially designed as a racing car, but actually produced in 188 units also for road use. While the racing version of the 8C 2300 Spider, driven by Tazio Nuvolari won the 1931 and 1932 Targa Florio race in Sicily, the 1931 Italian Grand Prix victory at Monza gave the "Monza" name to the twin seater GP car, a shortened version of the Spider. The Alfa Romeo factory often added the name of events won to the name of a car. '8C 2300 tipo Le Mans' was the sport version of the '8C 2300' and it had a successful debut in the 1931 Eireann Cup driven by Henry Birkin. It won the 24 Hours of Le Mans in 1931 (Howe-Birkin); 1932 (Chinetti-Sommer); 1933 (Nuvolari-Sommer) and 1934 (Chinetti-Etancelin). 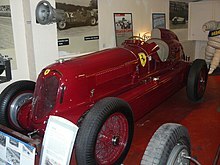 The 8C 2300 Le Mans model on display at the Museo Alfa Romeo was bought by Sir Henry Birkin in 1931 for competition use, but it is not the car in which Birkin and Howe won the 1931 Le Mans 24 hours. A 1933 8C 2300 Le Mans, chassis #2311201, is part of the permanent collection at the Simeone Foundation Automotive Museum in Philadelphia, PA, US. The car was owned by Lord Howe who campaigned it in the 24 Hours of Le Mans in 1934 (DNF) as well as in 1935 when it set the fastest lap before retiring. In 1933 the supercharged dual overhead cam straight-8 engine, enlarged (bore: 68 mm, stroke: 88 mm, 2557 cc) to 2.6 litres ('8C 2600') for the Tipo B, was fitted to the Scuderia Ferrari 8C Monzas. Scuderia Ferrari had become the "semi-official" racing department of Alfa Romeo, who were no longer entering races as a factory effort due to the poor economic situation of the company. With the initial 215 hp of the 2.6 engine, the Monoposto Tipo B (P3) racer could accelerate to 60 mph (97 km/h) in less than 7 seconds and could eventually reach 135 mph (217 km/h). For 1934 the race engines became 2.9 litres. Tazio Nuvolari won the 1935 German GP at the Nürburgring at the wheel of a 3.2 L Tipo B against the more powerful Silver Arrows from Mercedes-Benz and Auto Union. Multi-plate clutch at engine, four-speed Stirnsi rear transaxle. Eight 3.8-litre versions, sharing no castings with the earlier blocks, were individually built for racing in five months, most being used in the Alfa Romeo Monoposto 8C 35 Type C, as raced by Scuderia Ferrari. (The P3 designation was dropped.) The 3.8 produced 330 bhp (246 kW) at 5500 rpm, and had 320 lb⋅ft (434 N⋅m) from 900 rpm to 5500 rpm. It had 15.5-inch drum brakes all round, using Pirelli 5.25 or 5.50 x 19 tyres at the front and 7.00 or 7.50 x 19 tyres at the rear. Though not a match for the big Mercedes and Auto Union on the faster circuits, they came into their own on the tighter circuits and races. In 1936 Tipo Cs fitted with the troublesome V12 did not live up to expectations, and the 3.8 continued to be used. From 1933 Scuderia Ferrari had managed the racing, and the Ferrari prancing horse appeared on the flanks of the Bimotore, but Alfa Corse began to become more active, and Vittorio Jano went at the end of the 1937 season. In 1938 four Alfa Romeo Tipo 308 racers were built for the three-litre class using 8C engines. On September 14, 2013, a former Scuderia Ferrari 8C 35, in which Tazio Nuvolari had won the 1936 Coppa Ciano, was sold for £5.9 million; a new world record price for any Alfa Romeo. It was sold by the Bonhams auction house in its Goodwood Revival Meeting Sale in England. The car in question was the ex-Hans Ruesch, ex-Dennis Poore car, which had been one of the early stars of racing at the Goodwood Motor Circuit 1948-55. In 1935, to compete with Mercedes Benz and Auto Union, Enzo Ferrari (Race team manager) and Luigi Bazzi (Designer) built a racer with two 3.2 (3.165-litre) engines, one in the front and one in the rear, giving 6.3 litres and 540 bhp (403 kW). The drivetrain layout was unusual. The two engines were connected by separate driveshaft to a gearbox with two input shafts, and two angled output shafts, so each of the rear wheels had its own driveshaft. It could never quite succeed against the Mercedes W25 B of Rudolf Caracciola, and was hard on fuel and tyres. The gain in speed was offset by increased pit times. On May 12, 1935, two were entered in the Tripoli Grand Prix driven by Nuvolari and Chiron who finished fourth and fifth. Chiron managed a second at the following 1935 Avus race. On June 16, 1935 Nuvolari drove a specially prepared Bimotore from Florence to Livorno and set a new speed record 364 km/h (226 mph) with an average speed of over 323 km/h (201 mph). After that it was sidelined in favour of the Tipo C. It was the first racer to use the Dubonnet independent trailing arm front suspension. The V12 was under development, but was not race ready. It was noticed that the Bimotore had a traction advantage on rough ground, so a version of the Bimotore chassis with the independent Dubonnet front end, and a new independent rear with swing axles with radius rods and a transverse leaf spring was used for the Tipo C 3.8s. Engine-mounted multi-plate clutch, rear transaxle. The 8C 2900 was designed to compete in sports car races in general and the Mille Miglia in particular. It used the 2.9 L version of the 8C engine and was based on the 8C 35 Grand Prix racing chassis. 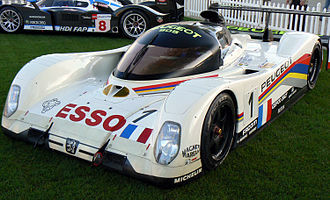 As such, it had an inline 8-cylinder 2.9-litre engine using two Roots type superchargers fed by two updraught Weber carburettors and fully independent suspension with Dubonnet-type trailing arm suspension with coil springs and hydraulic dampers at front and swing axles with a transverse leaf spring at the rear. 1936 Alfa Romeo 8C 2900A roadster. The 8C 2900A was shown to the public at the 1935 London Motor Show and was advertised for sale there. The engine, with a compression ratio of 6.5:1 and a stated power output of 220 bhp (160 kW) at 5300 rpm, was detuned from the Grand Prix racing version. Ten 2900As were built, five in 1935 and five in 1936. Scuderia Ferrari entered three 8C 2900As in the 1936 Mille Miglia and again in the 1937 Mille Miglia. In 1936 they finished in the top three positions, with Marquis Antonio Brivio winning, Giuseppe Farina finishing second, and Carlo Pintacuda finishing third. In 1937 they finished in the top two positions, with Pintacuda winning and Farina finishing second; the third 2900A, driven by Clemente Biondetti, did not finish. The 8C 2900A also won the 1936 Spa 24 Hours with Raymond Sommer and Francesco Severi. An 8C 2900 with Pininfarina cabriolet bodywork was auctioned for US$4,072,000 by Christie's at Pebble Beach, California. This was the tenth highest price ever paid for a car at auction at the time. 2nd place car in 1938 Mille Miglia, driven by Carlo Pintacuda. In 1938, Alfa Corse, an in-house racing team for Alfa Romeo, took over the activities of Scuderia Ferrari, along with many of their personnel, including Enzo Ferrari. Alfa Corse prepared four 8C 2900B Corto cars for the 1938 Mille Miglia. These used Carrozzeria Touring Superleggera roadster bodies. Three of these cars had their engines tuned to give 225 bhp (168 kW), while the fourth, assigned to Biondetti, had an engine from an Alfa Romeo Tipo 308 Grand Prix car, which delivered 295 bhp (220 kW) The cars finished in the top two positions, with Biondetti winning and Pintacuda finishing second after leading the race from Piacenza to Terni where his brakes locked up. The other two 8C 2900B Mille Miglia roadsters did not finish; Farina crashed and Eugenio Siena had a blown engine. Piero Dusio finished third in a privately entered 8C 2900A. One of the 2800B Mille Miglia roadsters later won the 1938 Spa 24 Hours with Pintacuda and Severi driving. Phil Hill competed in several west coast United States races in Pintacuda's car in 1951 before driving for Ferrari. Alfa Corse also prepared and entered a single 8C 2900B, chassis number 412033, for the 1938 Le Mans. The car featured a streamlined coupé body at a time when Le Mans racers were almost always open cars. The aerodynamic coupé was built by Carrozzeria Touring. In 1987, an Italian magazine had the car tested at the Pininfarina wind tunnel, where a Cx of 0.42 was measured, down to 0.37 with air intakes closed. The coupé, driven by Sommer and Biondetti, led for most of the race, but tyre trouble was then followed by a dropped valve. The car was driven to the pits, but had to retire there. At the time the valve dropped, the coupé had a lead of more than 160 km over the next car. This was the only time the coupé was raced by Alfa Corse. After the war, it was entered in minor races under private ownership, was then displayed at the Donington museum from the 1960s before being added in 1987 to the Alfa Romeo museum, which now runs it at many events. ^ "Alfa Romeo P3". ddavid.com. Archived from the original on 13 September 2007. Retrieved 2007-09-04. ^ "2009 Concorso d'Eleganza Villa d'Este". sportscardigest.com. 2009. Retrieved 2012-06-07. ^ Simeone, Frederick. "1933 Alfa Romeo 8C 2300 Le Mans". Simeone Foundation Automotive Museum. Retrieved 10 March 2015. ^ "Alfa 8C 35". Classic and Sportscar: 75. March 1997. ISSN 0263-3183. ^ "Bonhams Goodwood Revival 2013 – Auction Results". Sports Car Digest. September 14, 2013. Archived from the original on 2013-09-15. Retrieved 2013-11-14. ^ "The 1935 Alfa Romeo Bimotore". AtlasF1.autosport.com. Retrieved January 1, 2007. ^ a b c d e Thompson 1965, p. 73. ^ Thompson 1965, pp. 34–35, 73. ^ a b c Hull & Moore 1973, p. 179. ^ a b c Hill 1989, p. 173. ^ a b c Hull & Moore 1973, p. 180. ^ a b c d Hull & Moore 1973, p. 181. ^ Cheetham, Craig (2004). Vintage Cars - The Finest Prewar Automobiles. Rochester, United Kingdom: Grange Books. p. 19. ISBN 1-84013-635-9. ^ Thompson 1965, p. 34. ^ a b c Hill 1989, p. 176. ^ Thompson 1965, pp. 34–35. ^ "Five decades of speed". Thoroughbred and Classic Cars: 44. December 1996. ISSN 0143-7267. ^ a b c d e Hull & Moore 1973, p. 182. ^ Hill 1989, pp. 170, 172. ^ Vorderman 1973, p. 190. ^ "Alfa 8C-2900B MM". Classic and Sportscar: 192. April 2007. ISSN 0263-3183. ^ Vorderman 1973, p. 191. ^ Hull & Moore 1973, pp. 182–183. ^ Hill 1989, pp. 170–171. ^ a b c Hull & Moore 1973, p. 187. 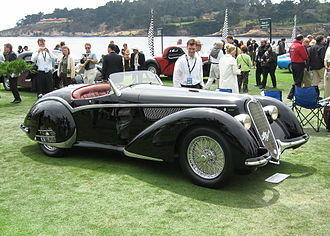 Wikimedia Commons has media related to Alfa Romeo 8C. Hill, Phil (May 1989). Bryant, Thos L., ed. "Salon: 1937 Alfa Romeo 82 2900B Touring Spider". Road & Track. Newport Beach CA USA: Diamandis Communications. 40 (9): 170–176. ISSN 0035-7189. Hull, Peter; Moore, Simon (1973). Vorderman, Don, ed. "The Immortal Alfa Romeo "Two-Nine"". Automobile Quarterly. New York, NY USA: Automobile Quarterly. XI (2 – Second Quarter): 178–187. LCCN 62004005. Lombard, Stefan (2006-07-28). "Most Expensive Collectible Cars – No. 10: 1937 Alfa Romeo 8C 2900". Forbes.com. Archived from the original on 2010-03-24. Retrieved 2012-02-18. Menon, Sujatha, ed. (2004). Super Cars, Classics of Their Time. Quintet Publishing. ISBN 0-7607-6228-7. Reyburn, Scott (September 14, 2013). "Ferrari-Team Alfa Races to Auction Record $9.37 Million". Bloomberg. Bloomberg. Archived from the original on 2013-09-17. Retrieved 2013-11-14. Strieber, Andrew (August 18, 2008). "Best of the Best: 1938 Alfa Romeo 8C 2900B wins Pebble Beach "Best of Show"". wot.motortrend.com. Archived from the original on July 23, 2012. Retrieved 2009-03-12. 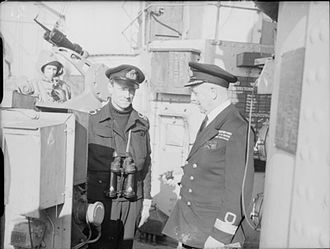 Thompson, Jonathan (February 1965). 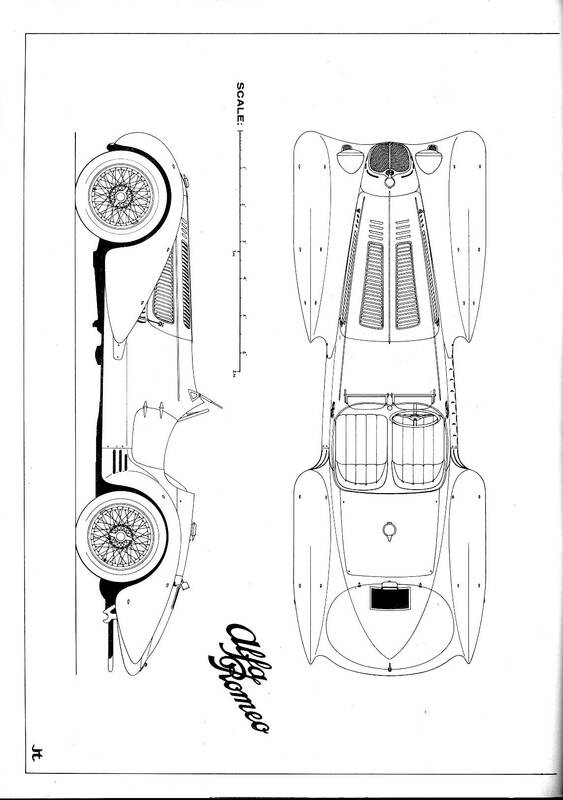 "Scale Plan Series – The 1938 Alfa Romeo 8C 2900B Mille Miglia Roadster – Number Nine". Model Car & Track. 2 (2): 34–35, 73. Archived from the original on October 9, 2007. Retrieved January 1, 2007. Vorderman, Don, ed. (1973). "Living Legends: Alfa Romeo 8C 2900 B Mille Miglia Spider". Automobile Quarterly. New York, NY USA: Automobile Quarterly. XI (2 – Second Quarter): 188–195. LCCN 62004005.
vsronline.com Page 3. 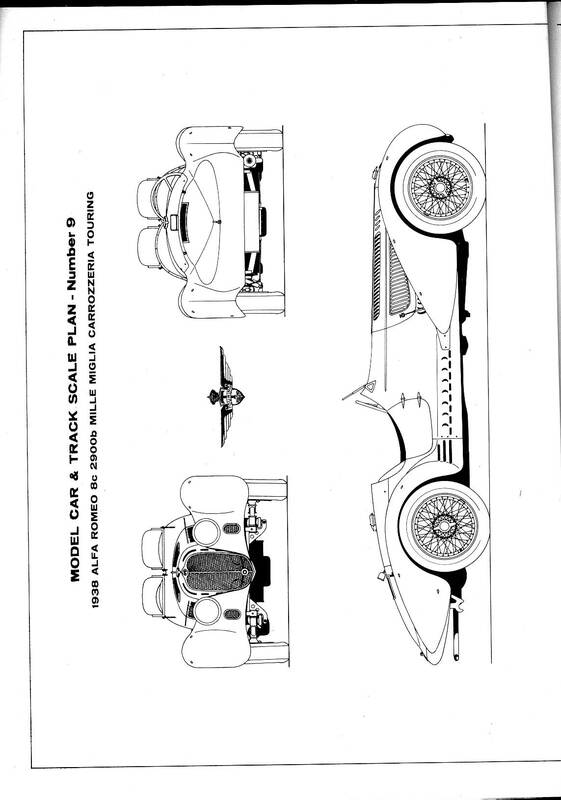 A modellers plan website; featuring Jonathon Thompson's plans for the 1938 Alfa Romeo 8C 2900B Mille Miglia Roadster, front, rear, and RH side views, as used in Simon Moore's book, "The Immortal 2.9"
vsronline.com Page 4. The LH side and above views of the above-mentioned plans. 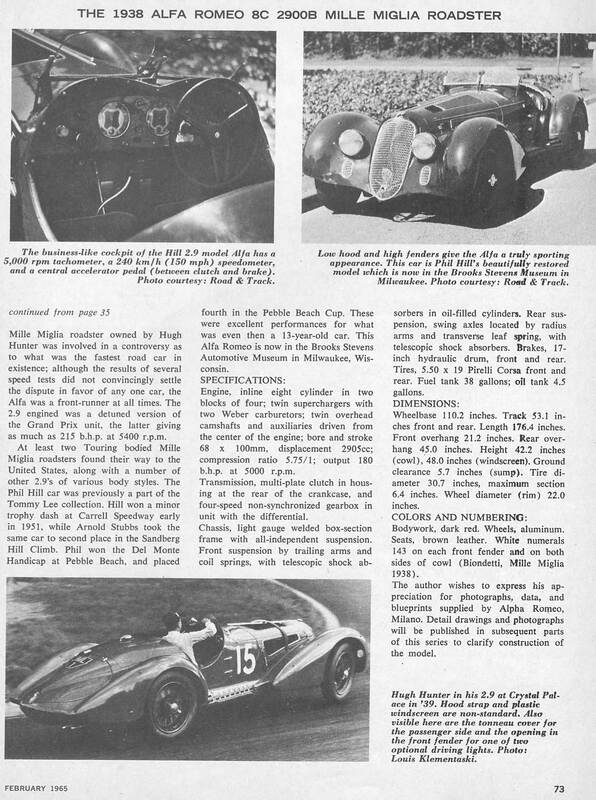 The other pages not linked here are readable .jpg s of an article on the Mille Miglia Roadster. [α] 105 A.L.F.A 15-20 HP and 20-30 HP started in 1915 were completed in 1920, after the war, as Alfa Romeo models. Vittorio Jano was an Italian automobile designer of Hungarian descent from the 1920s through 1960s. Jano was born Viktor János in San Giorgio Canavese, in Piedmont, to Hungarian immigrants and he began at the car and truck company Società Torinese Automobili Rapid owned by G. B. In 1911 he moved to Fiat under Luigi Bazzi and he moved with Bazzi to Alfa Romeo in 1923 to replace Giuseppe Merosi as chief engineer. At Alfa Romeo his first design was the 8-cylinder in-line mounted P2 Grand Prix car, in 1932, he produced the sensational P3 model which was raced with great success by Enzo Ferrari when he began Scuderia Ferrari in 1933. Among his designs at Lancia was the Grand Prix effort, the car, the Lancia D50, was introduced in 1954, but 1955s loss of Alberto Ascari and the 1955 Le Mans disaster soured the company to GP racing. Ferrari took over the effort and inherited Jano that same year, Janos contribution to Ferrari was significant. With the encouragement of Enzos son, Janos V6 and V8 engines pushed the older Lampredi, after Dinos death, Janos Dino V6 became the basis for the companys first mid-engined road car, the 1966206 Dino. Luxury vehicle is a marketing term for a vehicle that provides luxury — pleasant or desirable features beyond strict necessity — at increased expense. The term is broad, highly variable and relative and it is a perceptual and subjective attribute that may be comprehended differently by different people, What is a luxury car to some. Therefore, automakers differentiate among their product lines in collusion with the car-buying public, while a high price is the most frequent factor, it is styling and even public opinion which cars had the highest and lowest status associated with them. Every era in history has had a group of car marques and models that have been expensive to purchase, due to their alleged superiority of their design. Aimed at wealthy buyers, such automobiles might be generically termed luxury cars and this term is used for unique vehicles produced during an era when luxury was individualistic consideration, and coachwork could be tailored to an owner like a bespoke suit. Although there is literature about specific marques, there is a lack of systematic. Luxury vehicle makers may either be stand-alone companies in their own right, such as BMW and Mercedes-Benz, badge engineering is often used for cost savings, for example, the Lincoln vehicles that are based on Ford platforms or Acura models derived from Honda. Though widely used, the term luxury is broad and highly variable and it is a perceptual and subjective attribute and may be understood differently by different people, What is a luxury car to some. According to the European Commission, the luxury segment is classified as F-segment. However, the boundaries between the segments are increasingly becoming blurred and diluted as features once exclusive to luxury vehicles become standard equipment on even small cars. ACRISS is a system used by many car rental companies in the US for classifying vehicles. The system includes Luxury and Premium categories, Australia, In Australia, for taxation purposes a luxury car is defined as a passenger car whose value exceeds a certain threshold. France, In France the term voiture de luxe is used, Germany, In Germany the term Upper class is used. The Alfa Romeo 8C Competizione is a sports car produced by Italian automaker Alfa Romeo between 2007 and 2010. It was first presented as a car at the 2003 Frankfurt Motor Show. The name refers to the engine and Alfa Romeos racing pedigree. Alfa received over 1400 orders for the 8C after the announcement that the car would enter production. However, only 500 customers ended up with the 8C Competizione, the 8C Competizione was introduced at the Frankfurt Motor Show in 2003. 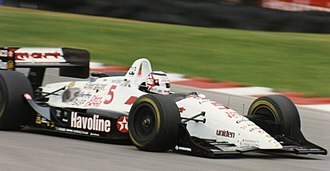 It was in the latter of two races that the car was driven by Juan-Manuel Fangio and Augusto Zanardi. It won the 1950 Targa Florio, a 3. 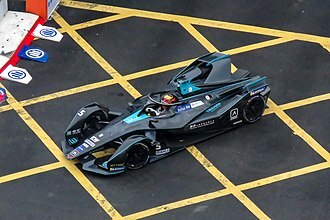 0-litre prototype was built but not produced. 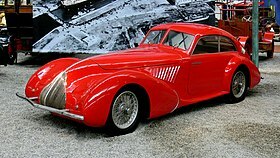 These 6C2500 models were among the last vehicles with links to the pre-war cars, during the Mondial de lAutomobile 2006, Alfa Romeo announced the production of a limited series of 500 units of the 8C Competizione. The production version is similar to the concept, the biggest difference to the exterior being the rear-hinged hood. Other minor changes included the front lights, which used Xenon lamps, a standard system, a mesh side vent, and the rims. The Alfa Romeo P3, P3 monoposto or Tipo B was a classic Grand Prix car designed by Vittorio Jano, one of the Alfa Romeo 8C models. The P3 was first genuine single-seat Grand Prix racing car and Alfa Romeos second monoposto after Tipo A monoposto and it was based on the earlier successful Alfa Romeo P2. Taking lessons learned from that car, Jano went back to the board to design a car that could last longer race distances. The P3 was the first genuine single seater racing car, and was powered by a supercharged eight-cylinder engine, the car was very light for the period, weighing just over 1,500 lb despite using a cast iron engine block. The 1933 Grand Prix season brought financial difficulties to Alfa Corse so the cars were locked away. Enzo Ferrari had to run his breakaway works Alfa team as Scuderia Ferrari, using the older, Alfa procrastinated until August and missed the first 25 events, and only after much wrangling was the P3 finally handed over to Scuderia Ferrari. P3s won six of the final 11 events of the season including the final 2 major Grands Prix in Italy, the regulations for the 1934 Grand Prix season brought larger bodywork requirements, so to counteract this the engine was bored out to 2.9 litres. 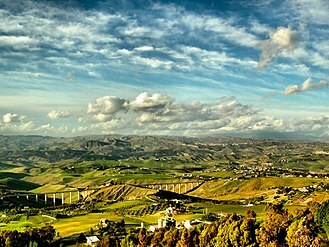 The Italian Grand Prix is one of the longest running events on the Formula One calendar. 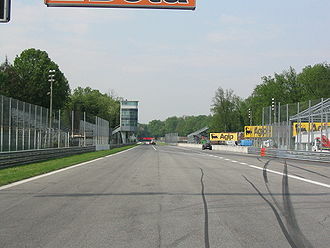 The Italian Grand Prix was one of the inaugural Formula One championship races in 1950, every Formula One Italian Grand Prix since 1950 has been held at Monza except in 1980, when it was held at Imola. 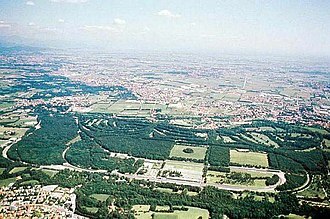 The Italian Grand Prix counted toward the European Championship from 1935 to 1938 and it was designated the European Grand Prix seven times between 1923 and 1967, when this title was an honorary designation given each year to one grand prix race in Europe. 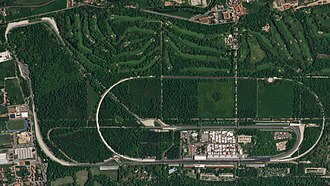 European motor racing pioneers Vincenzo Lancia and Felice Nazzaro laid the last two bricks at Monza, the circuit was 10 km long, with a flat banked section and a road circuit combined into one. It was fast, and always provided excitement, the 1923 race included one of Harry A. Millers rare European appearances with his single seat American Miller 122 driven by Count Louis Zborowski of Chitty Chitty Bang Bang fame. 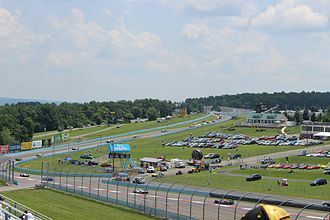 The 1928 race was the first of many tragedies that befell this venue, italians Emilio Materassi in a Talbot and Giulio Foresti in a Bugatti were battling around this fast circuit. As they came off the banking onto the side of the pit straight. It was the worst accident in racing history and would remain so until the 195524 Hours of Le Mans. The race was something of a race in those days. The great Nuvolari won again in a shortened 1932 race, this time held in early June, in 1933, with the race being held this time at the traditional timeframe of early September, disaster struck again. Three top drivers were killed during three heat races, Campari broke his neck and was killed instantly, and Borzacchini died that day in a Monza hospital. Prior to the heat, there was a drivers meeting to discuss the oil patch. Blinded by the smoke and flames on him, he went up and flew off the banking- at the spot where Campari. The Polish driver, unable to put out the flames on his body which was fueled by the fuel from his wrecked Bugatti, Italian Luigi Fagioli was declared the winner of the event. Enzo Ferrari, who had close to Campari and Borzacchini. Today, racing historians conclude that the events of this marked a watershed.